On February 26, 2015 Vanguard announced changes to its suites of target retirement and life strategy funds. These low-cost, broadly diversified indexed balanced funds are options in numerous employer-provided retirement plans, many 529 college savings plans, and are a popular choice of individual investors, primarily for funding individual retirement accounts. 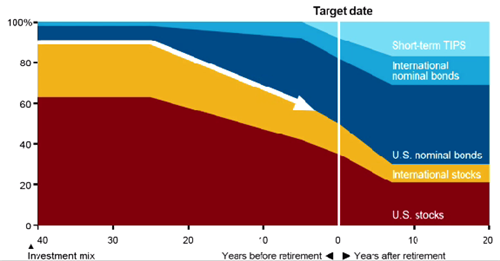 The introduction of twelve new institutional target retirement funds. The funds, designed for the institutional retirement plan market, will have a minimum investment of $100 million, and expense ratios of 0.10%. Vanguard expects the funds to be available for investment on or about June 26, 2015. The international allocations will be increased in both the target retirement and life strategy funds. The allocation of international stocks will increase from 30% to 40% of stock allocations, and international bonds will increase from 20% to 30% of bond allocations. The transition to the new allocations will begin in the second quarter of 2015 and is expected to be completed by the end of the year. The following charts illustrate the new allocations for the four life strategy portfolios (click images to enlarge). If your employer provided plan utilizes Vanguard funds and is large enough to meet the $100 million plan minimum, you will reap the advantage of the 0.10% expense ratio for the target date funds. This is likely to be a boon to many employees, since target date funds are usually the default investment for employee contributions. The new allocations push the funds’ strategic allocations closer to the global market allocation of equity and fixed income. If you are not comfortable with this allocation you may be served by foregoing these single balanced funds and using separate asset class funds for your desired portfolio allocation. In March 2006 Vanguard made changes to the asset allocations of its existing target retirement funds, increasing the equity allocation by roughly 10 to 20 percentage points, depending on the fund. On September 27, 2010, Vanguard announced that it would replace the three underlying international portfolios (Europe, Pacific, Emerging Markets) with a single broad international stock index fund (Total International Index). Vanguard also increased the overall international equity exposure of these funds from approximately 20% to approximately 30% of the equity allocations. On May 11, 2010 Vanguard announced that it was dropping the minimum investment in its target retirement funds from $3,000 to $1,000. In June 2013 Vanguard added the Vanguard Total International Bond Index Fund to the Vanguard target retirement funds. The new international bond fund represented 20% of the fixed income allocation for each of the funds. Vanguard also replaced the Vanguard Inflation-Protected Securities Fund with Vanguard Short-Term Inflation-Protected Securities Index Fund in the Vanguard Target Retirement Income Fund, Vanguard Target Retirement 2010 Fund, and Vanguard Target Retirement 2015 Fund. The life strategy funds have experienced two major changes since the 1994 fund inaugural date. 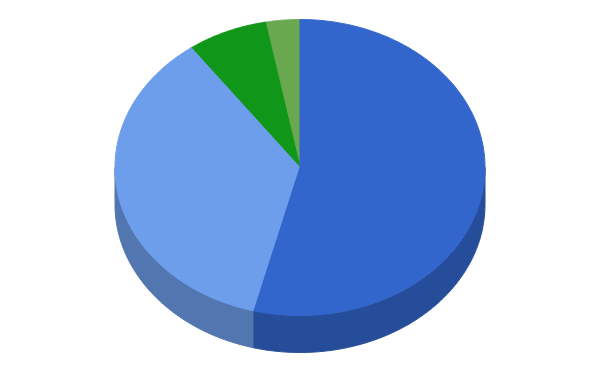 In 2011 the funds adopted an all-index fund portfolio. In 2013 the funds added international bonds to the asset allocation mix. In addition to these past changes in investment mix, investors in target date funds must consider the glide path of these funds, which over time increases a fund’s fixed income allocation. If you select these funds according to the asset allocation mix as opposed to the target date, you should continue to monitor the stock/bond allocation over time to assure that it continues to meet your desired allocation.